I recently posted this beauty look over on the Ladies Home Journal blog, Gloss Daily, and wanted to share it with you here too. Really feeling this bright nail with a smoldering, neutral look. 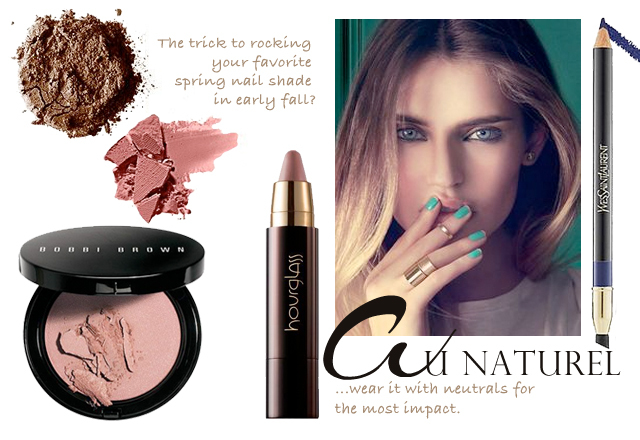 Just perfect as we transition into Fall beauty, don't you think? I like the nail look but I am not sure if I am brave enough to rock a green nail. Love the rings though. Oh yeah these eye shadows are killer!